The purpose of Technology & Maintenance Council Recommended Practice #628B (T.M.C. RP 628B) is to provide information for judging the performance of aftermarket brake linings on air-actuated foundation brakes, including testing in accordance with the dynamometer test procedure in Federal Motor Vehicle Safety Standard (FMVSS) 121 and lining supplier qualification information. This information will assist fleet operators in choosing aftermarket brake linings that will perform adequately on typical combination (tractor/trailer) vehicles and single trucks. It is essential that the replacement brake linings function as well as the material originally supplied on the vehicle. PRI became involved in this effort in 2000, when SAE transferred the administration of the program to PRI, but the procedural and structural set-up were essentially unchanged. SAE created the Brake Lining Review Institute in 1994, after the American Trucking Association’s Maintenance Council – now Technology & Maintenance Council (TMC) requested SAE International develop a program using data generated from tests run in accordance with TMC Recommended Practice 628A and Federal Motor Vehicle Safety Standard (FMVSS) 121 to evaluate after-market heavy-duty truck brake linings in 1993. To view the current list of Approved Aftermarket Brake Linings and Qualified Dynamometers, click the attachment below. 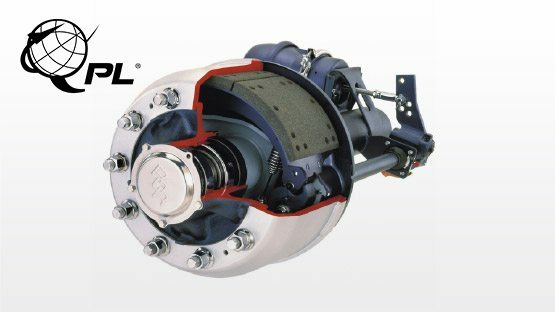 To have Brake Linings listed with PRI please complete and submit the following forms as appropriate to Wendy Grubbs at wgrubbs@p-r-i.org (+1 724-772-8647). All submittals must be accompanied with a completed Appendix A.